Today's post is a departure from my Fall and Halloween cards. Who doesn't need a stash of birthday cards on hand? I always mindful of keeping a variety in my inventory. 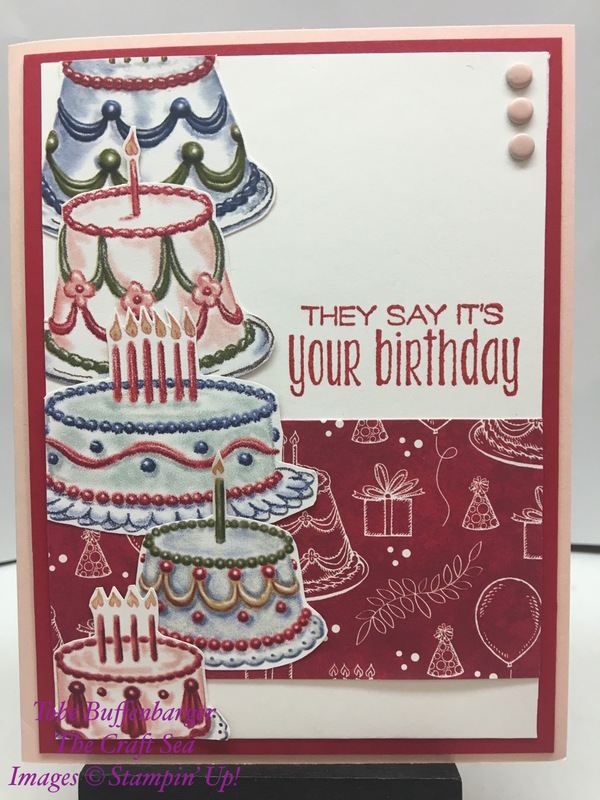 The Birthday Memories DSP is perfect for creating cute cards. For this one, I fussy cut all these cakes to create a stacked imaged. I added a piece of coordinated basic DSP and a great sentiment. For the finishing touch, I added some retired, but still great, candy dots!